If you are searching for a vacuum with powerful suction but have wood or hard floor surfaces the choice of vacuum can be a difficult one. Today we are Reviewing the best Miele vacuum for hardwood floors, With its rubberized wheels which prevent scratches to the floors. Also specialist powerheads, the Miele vacuum cleaners are a super addition for any home. In these Miele vacuum cleaner reviews, we will cover the Miele vacuum upright, the Miele bagless vacuum plus the Miele c2 vacuum. Which miele Vacuum Type To Pick? How long should a Miele Vacuum Cleaner last? First up is the Classic C1 Vacuum designed especially for pets owners. And with its electric floorhead will make is perfect for carpet or wooden floors. Let's take a closer look at the principal features. This compact but powerful vacuum from Miele has height adjustments of up to 5 settings, so if you have area rugs or thick pile carpet along with your hardwood floors, it will deal with these without any difficulties. The powerful motor has a six-speed control dial, guaranteeing you have the correct power setting for any floor surface it is being used on. With pet owner in mind, this C1 cat & dog vacuum uses a neutralizing pet odor filter with air clean technology. By using active charcoal in the filter, it removed the pet smells when vacuuming leaving a fresh odorless smelling home after cleaning. The filter retains 99.9% of dust and fluff particles, so for allergies sufferers, this is a great feature to have. The floorhead is parquet twister, which means it will rotate 180° making it extremely versatile and easy to maneuver around your hardwood floor. The C1 has tool attachments with crevice nozzle and upholstery brush, which fit nicely onto the vacuum canister body for ease of use and transport. There is a unique pet handheld turbo brush for cat fur and pet hair, which can you used for pet beds and on sofas. The vacuum weights around 16 lbs and is simple and easy to use. 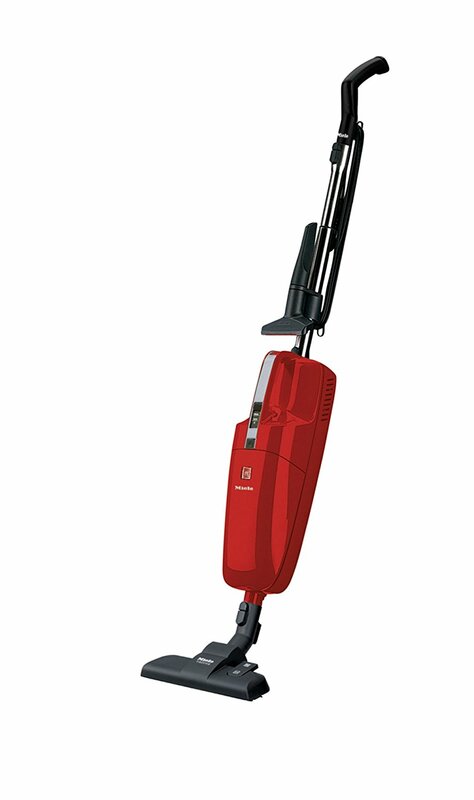 This Miele Blizzard CX1 is a bagless vacuum featuring a turbo brush for hardwood floor cleaning. With a four-setting suction power dial adjustment to help control the suction power on any floor surfaces. The filter is a HEPA maintenance-free filter, and with a clean stream filter media makes this great vacuum for dust and allergy sufferers. The dustbin can be emptied with minimal contact by just the push of a button. Also has a parquet twister floor head brush making maneuvering around the home easy and convenience. Comes with a turbo brush ideal for dealing with pet hair on upholstery and pet beds. The power cord is auto wind which is another convenience feature. 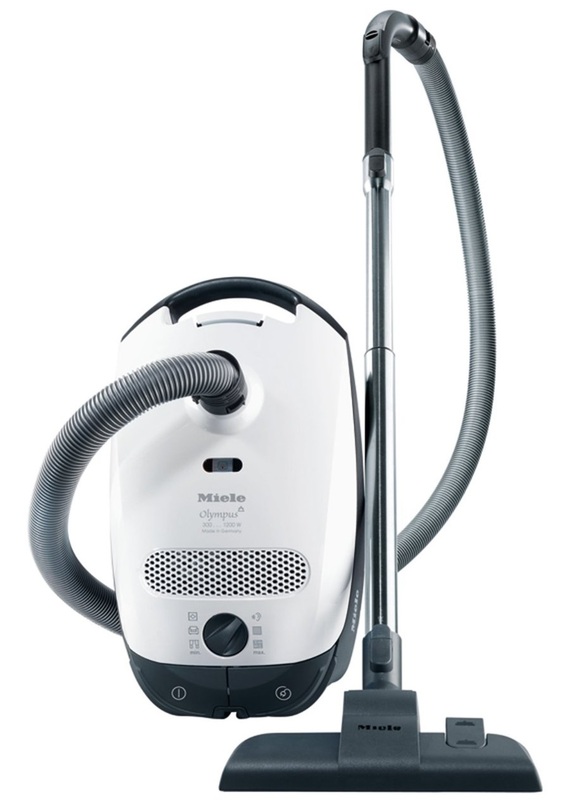 The cost of not having to purchase bags is a bonus with this Miele Bagless Vacuum. This is a compact C1 designed for low to medium pile carpet and area rugs but comes into its own on hardwood floors or any hard floor surfaces. This Miele Vacuum has a sealed filter unit and the HEPA filter can be purchased separately and is optional. The suction can be controlled via a 6-speed dial. This ensuring you can maintain power on different floor surfaces. The stainless wand gives the option for above height cleaning making it ideal for drapers and hard to reach shelving. The vacuum dustbag holds 3.5lts which won't need emptying after each use. The Floorhead turbo-brush has adjustable slide control which aids the air stream into the head, great for getting to the ground in dirt in carpets. This pure suction canister miele vacuum is a super compact and has excellent power for such a lightweight designed vacuum. The floorhead is a combination one so hardwood floor and low pile carpet can be achieved by a foot control switch. The canister has rubberized wheels which for use on hardwood floors will prevent scratches to the floor when using this vacuum. The 1200 power vortex motor is controlled with a six-speed dial for optimal power cleaning. The filter is air clean system and uses a Miele dust bag. The power cord is retractable and has a cleaning radius of 30 feet. this miele hard floor vacuum is a good choice. Does not come with hard floor brush. At under 12lbs, this C3 Alize offers lots of great features for a compact, stylish vacuum. Its automatic speed control setting enable the unit to move between floor types and auto adjust the speed and suction dependent on the surface being cleaned. Then this suction setting will increase or decrease the power required on hardwood floor, tile or carpet. It has a telescopic wand with a spotlight in the handle to help see in hard to reach areas. The brush head is 3 Air teq floor allowing to be changed by foot control to match different surfaces needing cleaning. The filter has the AirClean filtration system retaining 99.9% of all allergens, pet danglers and airborne particles and so securing clean air with the sealed system. The vacuum comes with onboard tool attachments which store nicely into the canister of the unit, ideal for upholstery and pet hair. A touch of a button cord retraction. This next cleaner is ideal for smaller homes that have a lot of different surfaces to clean. What sets this machine apart from the rest is the fact that it is adjustable to four positions, meaning that you can use it as a handheld or as an upright. This enables you to clean your floors and then move to the furniture with ease. Other features that we like about this vacuum include a six-stage variable speed control knob on the top, a foot pedal that allows you to switch between carpet and hardwood, and a handle that won’t slip when placed against the wall. 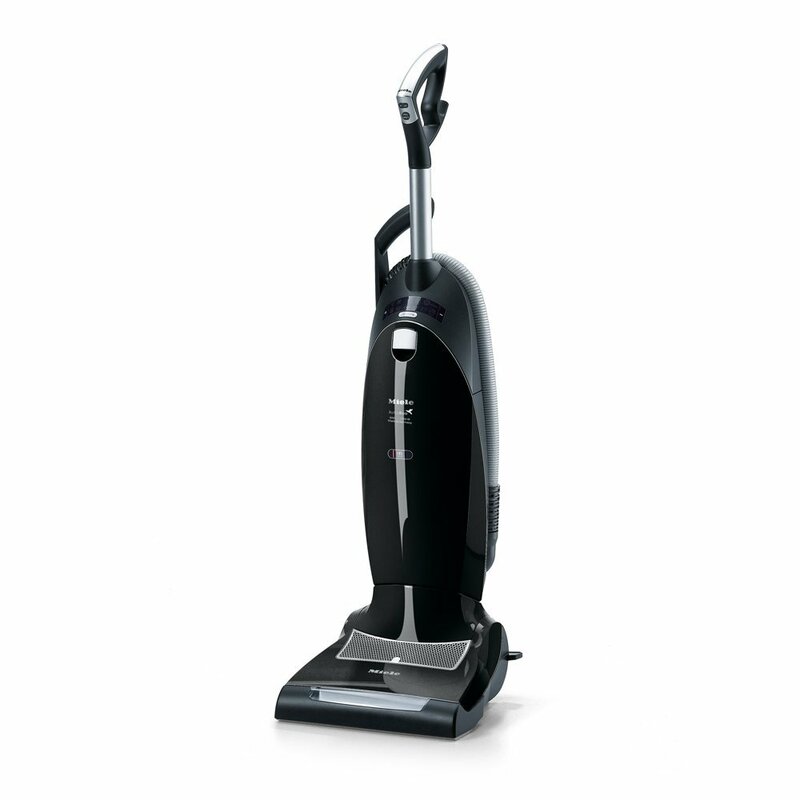 Overall, versatility is the primary benefit of this vacuum, so don’t get it if you have lots of floor space to clean. As you will see, these next three upright cleaners are going to be based on the same model, so it’s important that you pay attention to the specific features that differentiate them. The Jazz Upright is one of the more basic models, meaning that it is built to clean everything equally well. As far as performance goes, the Jazz has a two-stage motor that drives a powerful brush roll to get deep into carpets. It also adjusts its height automatically so that when you move to hardwood, it won’t scuff it up. This vacuum comes with a HEPA filter and an air clean system to remove dust and allergens. It has a swivel head and headlight so that you can get under furniture much easier. Overall, if you want a high-powered all-around vacuum, the Jazz is a great buy. This model with a HEPA 13 filter, was designed with the allergy sufferers in mind. It's a Miele Vacuum Upright which can lay flat, making it possible to maneuver easily under furniture. The LED headlight makes seeing you way around especially in darker corners — this model motor powered by 1500 watt of suction allowing it to handle the toughest tasks. A time strip indicator is added to this model and once activated will let you know when the filter needs changing, for maximum performance of the vacuum. The power setting is adjustable, and as well as a manual setting, you can use the automatic settings which will automatically change depending on what type of floor surface. The Miele Dynamic Allergy Plus Power can be used over a 14 meters radius, allowing you to travel further around the home without having to unplug the vacuum. With its long telescopic hose and tube, it is handy when vacuuming stairs. The motor used on these models of Miele vacuum also offers up to 50% saving on electricity with its super-efficient system. Our final Miele Upright vacuum cleaner is designed for allergy sufferers who want to make their home as clean and dust free as possible. Thus, the defining feature of the AutoEco is that it comes with a remarkable filtration system that is both washable and replaceable. If you want to keep dust and allergens out of your air, then this is the vacuum to get. Otherwise, it has the same great qualities of the other Uprights we’ve seen. A powerful motor, a swivel neck and headlight combo, and a six-stage cleaning control knob, with this Upright Vacuum Cleaner that you can adjust the speed and suction according to your needs. 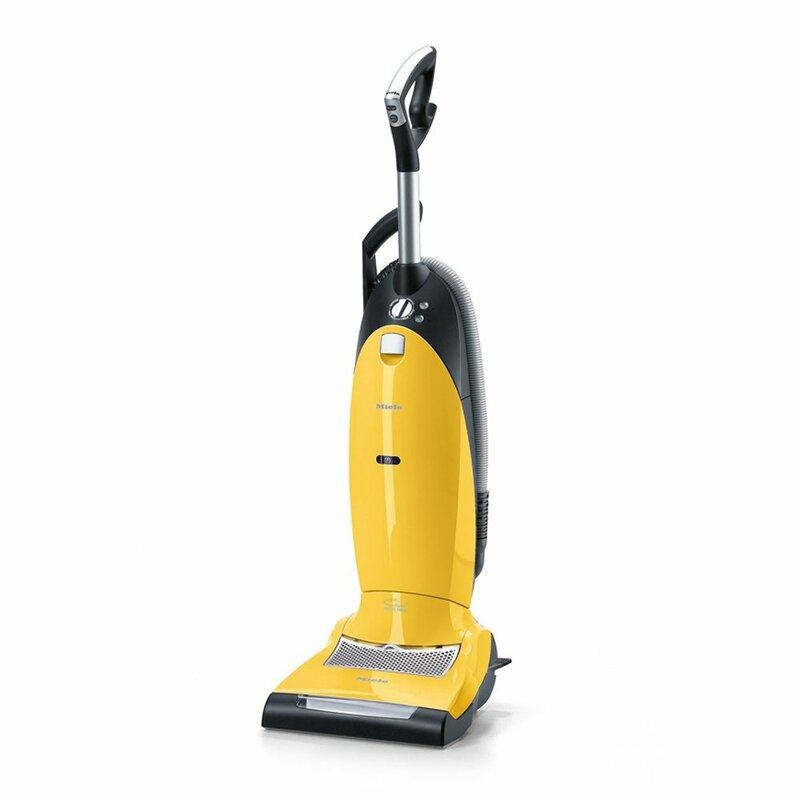 This particular vacuum has two more speeds than the others so as to ensure you get all dirt and dust out of your home. The Miele name goes back over 120 years and to this day the business is run by the same two families. Now well known for its electrical appliances, back then, Carl Miele and Reinhard Zinkann started the company manufacturing a butter churn and their first electric motor washing machine in 1914. Miele has come a long way since those early days. The First Miele vacuum cleaner was launched in 1927 and was called the Melior, but the main business at that time was washing machines and dishwashers. This Germany based company has stood for quality products throughout the decades and the Miele (pronounced “mee-luh”) brand has stood the test of time, with sites in the USA, UK, Canada as well as the main base in Germany which employs over 10,000 people. With the Miele companies, high standards for delivering products that meet environmental needs, plus using energy efficiency motors benefits both customer and the world. Miele continues to build products to last for many years. Before buying a miele vacuum cleaner for hard surfaces, you first have to determine how many hard floors you’re going to clean with it, as well as whether or not you also have to clean carpets as well. Additionally, you have to determine the type of carpet you have (low or high pile) so that you can be sure that the vacuum can handle all of it. What you don’t want to have to do is buy two vacuums, so be certain that a single model will work for your whole household. For the most part, there are two primary Miele models from which you can choose. The first is a upright, and the second is a canister vacuum, although they do a stick vacuum and now also a robot vacuum in their range. Let’s break it down and see what each one has to offer. 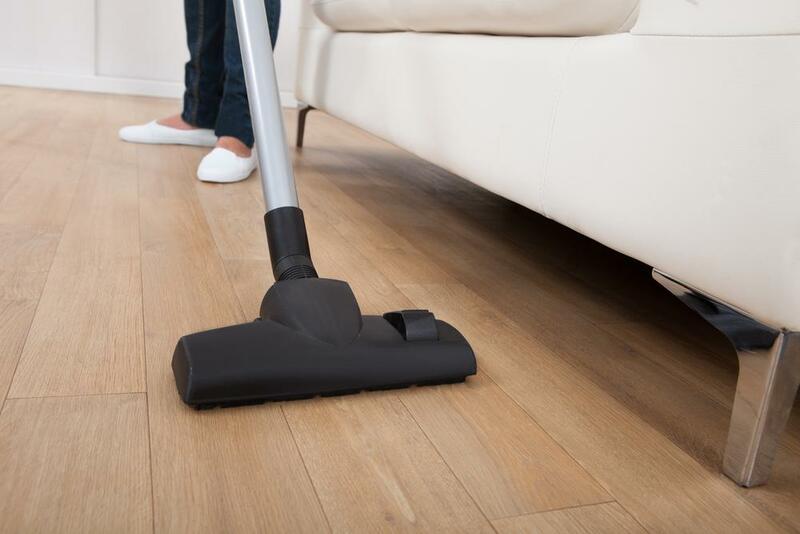 Miele Canister vacuums are particular good on hardwood floors, and due to the attachments that come with the canister type can be useful on stairs and for curtains, upholstery. They are less bulkier that upright models so are more lightweight and quieter running. However, they can sometimes be more difficult to store due to their shape. These Canister type Vacuum cleaners on Hardwood Floors are perfect or if you have a lot of different surfaces to clean (including furniture) as the head is separate from the body. This enables you to clean your house from top to bottom without having to detach or adjust anything besides the suction level. If you’re focused mostly on the floor, then this is a great option. Uprights are ideal for multi-level homes as well as they are easier to carry up and down stairs. If they have a telescoping wand, they can even be as versatile as a canister. Although most Miele Uprights vacuum including the Swi​ng Quickstep Cleaners are not equipped to stand in one place while you vacuum various surfaces. So keep in mind that you may still have to hold it. There generally are seen as being heavy and noisier than canister models. It's worth remembering that you are pushing an upright and not pulling it around like with a canister model. The lifespan of a vacuum can be down to many things mainly how well it is constructed, how often it is used, and how well it is maintained. So let's try to answer these questions, and can a Miele vacuum really last 20 years? Most vacuum buyers usually replace their vacuums every 3 - 5 years, depending on how much use the vacuum has had and the type of warranty you had when it was purchased. The saying you get what you pay for springs to mind and if you are paying an average $400 for a Miele vacuum cleaner you want to be sure that is going to last for many years. The Miele Warranty can be up to 5 years which if you have a problem with any parts like the motor will give you peace of mind that you have support and cover. Keeping your Miele Vacuum is peak condition will prolong the life of the vacuum and there are some maintenance steps you can take to make sure the vacuum performs at its full potential. Firstly checking the indicator strip on the filter bag, Green is ok to use, and red is to let you know when the bag is full and needs changing. Also if you are using the Miele tools accessories it worth checking the large wand hose for blockages from larger debris items, the same can be done on the brushroll of the vacuum. These quick and simple routine checks can prevent the vacuum motor from overheating and decreasing its life span. When using the vacuum the power cord should be fully extended out, more so if it's an autowind cord model. The power cable can overheat if it's left coiled up inside the Miele canister so fully extend before using is the best practice. Overall with a bit of extra care and attention each time you use your Miele Vacuum cleaner there is no reason that is should last and give you many years of stress-free vacuuming. Considering that these are all high-quality Miele Vacuums and are more than suitable for Hardwood Floors. Which means that no matter which one you choose, you’ll have incredible cleaning results. However, when we have focused on a hardwood floor vacuum, we highly recommend the Miele Blizzard CX1 Turbo Team Bagless Canister Vacuum as that model is designed for hard surfaces, in particular, meaning that you get better results than something that is rated to do both. Also, the lightweight design and flexible vacuum head make cleaning your floor so much easier than rolling along with an upright.